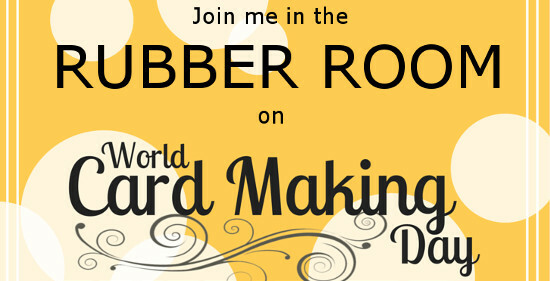 Rubber Room Ramblings: WORLD CARD MAKING DAY YOUR WAY! 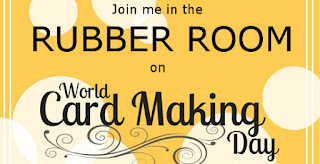 Come Kit With Me on World Card Making Day (October 1, 2016) from 10:00 a.m. until noon. I have lots of "kits" that are "extras" from past classes, and I would love to share them with you. I will put the coffee on and put out some yummy treats, and we can make a morning of it. This is the easiest card class you will ever attend. All you need to do is assemble your card "kit"; so be sure to bring your favorite adhesive with you. Kits are $2 each or three for $5. Each Kit includes everything you need to assemble one gorgeous handmade card. What a wonderful way to spend World Card Making Day. PLUS I will give you a $5 off coupon for any order you place that day. Be sure to RSVP before midnight on September 30th, 2016. Text your RSVP to 248-909-8016 and be sure to leave your name.